The Kangemi Youth Center is a 1.3 acre primary school (300 children) bordering the Nairobi river in Kangemi Slums. In February 2016 we implemented extensive permaculture garden designs as part of a 'school feeding' pilot project completed in December that year. Above: Polyculture beds including a mix of commercial crops like cabbage, spinach, and tomatoes. Indigenous species including Sagaa, Mchicha and Kunde. Above: One of our student team eating sugarcane grown from root scraps donated by neighboring kiosks. 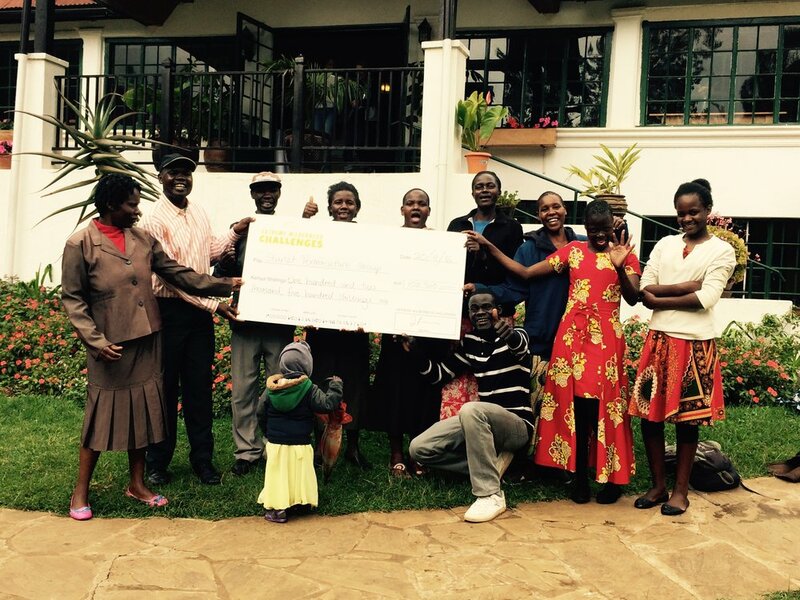 Above: Our Kangemi parent work team holding a cheque for Ksh 100,000/- from a fundraising race . The funds were used to purchase seed, grafted seedlings boleya (manure) and new tools. Above: Mass sweet potato production - we harvested 50 kg's of the buggers!